14 ideas to nourish you up! The reason that ’14 foods to nourish you up’ has come about, is that I have been approached 4 times this week by people desperate to feel full and a couple of parents desperate to fill their kids up. One boy cried of hunger the other day and one girl cleans out an expensive wholefoods pantry before her mum has barely had time to restock it. Eating to nourish and feel full isn’t about quick fixes. It’s about finding lasting energy. Something a lot of people experience when cleaning their diet is that while they are getting gorgeous benefits from a range of fresh veggies and fruits, unless there are some slow burning nutrients in the mix, you’re going to feel a little like you could always do with a few more mouthfuls of something ‘truly satisfying’. I am by no means saying ditch the veggies – NO! Sacrilege. Truth is we need all kinds of nutrients in the mix and the most overlooked way to include them is by having a look at nutrient density of the meal, not just how ‘healthy’ it is. So, firstly there are a few things to check off if you or someone in your house is constantly hungry. You might want to rule out parasites (worms etc) or hormonal imbalances as these can contribute to constant hunger. You might also want to check your body’s absorption percentage. You can do this with a biomedical scientist / doctor and private Live Blood analysis. There could be a whole host of reasons you’re not absorbing enough nutrients from your foods, therefore your body craving more and more all the time. Whatever additional investigating you choose to do, if at all, something you can do from today, is include some of these tips into your daily food preparation. Enjoy this list of ideas and foods and no, they’re not in a particular order! 1. Dulse Flakes – Powerful, nutrient dense little flakes that in my house, we call purple sprinkles. They’re an awesome way to add nutrient density to other stuff you’ve already got going on at meal time. Pop a heaped tablespoon into curries, stews, stocks or soups. Sprinkle a teaspoon into mashed avocado or veggie mashes or pop a teaspoon in a batch of salad vinaigrette. To read more on them and other sea veggies, read here. 2. Coconut Oil – An amazing immune builder, anti bacterial, anti oxidant, digestive helper and appetite satiating tool, coconut oil is a healthy, healthy fat. Dissolve a teaspoon in herbal tea, add a couple of the expleller pressed variety (less coconutty, I use the Spiral brand in Australia here pictured on the very right) tablespoons to bolognese sauce or meat ball, soup, stews, stocks, curries, melt and blitz into smoothies. Vitamins A, D and E are fat soluble so if you have vegetable soups, juices and smoothies and aren’t adding healthy fats, you’re not getting those vitamins from them, which seems a big ol’ shame! 3. 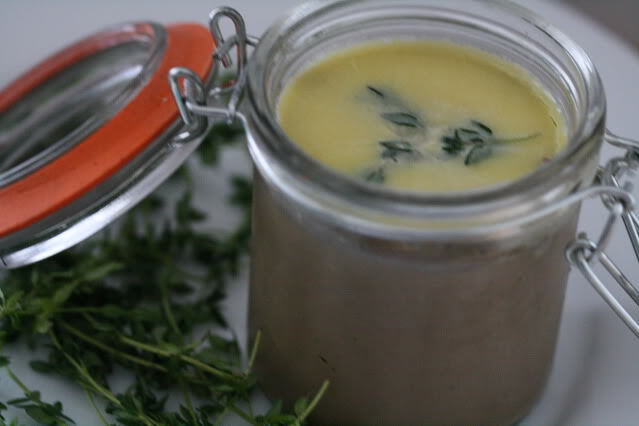 Butter & Ghee – Again, important to ensure you feed kiddies healthy fats. Double the butter you’d normally put on their toast or in eggs. Lather the veggies in it to ensure A, D & E vitamin absorption and if making a vegetable soup, be sure to include a little of either of these if tolerant so you are satisfied. Healthy fats provide a slow and steady energy burn, so if your hungry person becomes irrational with hunger, chances are the healthy fats need to go up in the diet. 4. Chia Seeds – Great for adding to soups, stews, curries, smoothies, omelettes for extra nutrients. Read more about those here. I would pay attention to how your body reacts to them. They can aggravate some people – not many – with a little gastrointestinal distress, in which case ‘ moving no, not for you!’. I love this piece from Mark’s Daily apple about them too. He raises some great points, especially if you’re a Paleo purist and wanted to know where paleo stands on the lil’ Chia seed. 5. Sweets + Fats combo – Don’t feed people sweets without healthy fats, if possible. Apple and pear gets a cheese accompaniment, banana and nut butter or coconut cream vanilla bean ‘dip’ (scroll down to ‘cream top’ in that recipe), chocolate icing gets avocado in it… The fats will slow down the sugars and you’ll get a slower, steadier burn of energy while you enjoy a sweet satisfying something. Check out my sweet treats section for loads of healthy desserts using healthy fats in desserts. 6. Swap the sauce to grain ratio – For those who eat grains be sure that you’re not serving a massive serve of grain and a small serve of the sauce / meat accompaniment (which you’ve snuck a bit of dulse flake, coconut oil or butter into of course). If you’ve got fussy kids who notice every small change, do it very slowly over time so it goes unnoticed and do it for the whole family not just the super hungry one – it’s better for everyone! They want the grain cause it’s a quick filler and immediately satisfying, but the grains will turn to sugars in the body which will burn quickly and leave you hungry much sooner than meat, veg and healthy fats. 7. Activate your nuts and if you eat them, legumes and whole grains. It’s not some hippy trend, it’s science. All of these things contain enzyme inhibitors as well whatever nutrients they carry. This means you could eat a bag of almonds and the very things in them could be stopping you from getting the benefits of the other things in them. What is the point?? To activate nuts, read here. To activate legumes, read here. To activate whole grains, just soak them in a bowl with a little whey, yoghurt or lemon juice for minimum 12 hours, and then drain well, rinse well and cook as normal (although cook time will take less time having been pre soaked). Then, you’ve broken down the majority of the phytic acid in there and that means when you eat that food, you’re actually getting the benefit of the nutrients in the food! Game on! 8. Do not serve a plain salad. 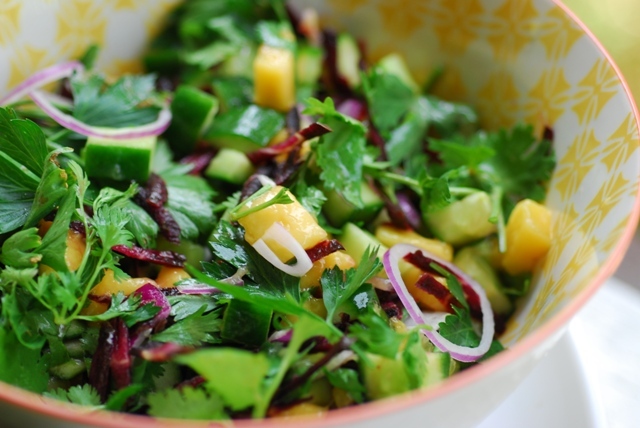 Click here for how to soup up your salad to make it more filling and nourishing. 9. Add coconut cream or raw cream (if legal / you can find) to soups, stews, curries and sauces. Lasting, slow burning healthy fats! 10. Add culture to your meals – a spoonful of crème fraiche once you’ve taken the soup, stew, sauce off the heat (if you add while cooking, the enzymes in the cultured cream will die and not provide the digestive benefit). 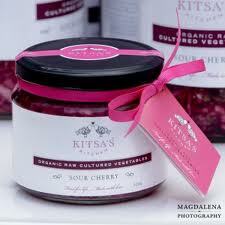 Add cultured veggies to your meals, like the amazing Kitsa’s Kitchen range or learn how to make your own. The reason these are all going to help is because they are enzyme rich foods, making more of what you eat get assimilated. They help make sure we’ve got lots of good bacteria in our guts too. The healthier the gut, the better the absorption of your food in general. 11. Stop using water and use stock! Bring on the mineral boost and powerful bone gelatin to your stews, soups, sauces and curries! 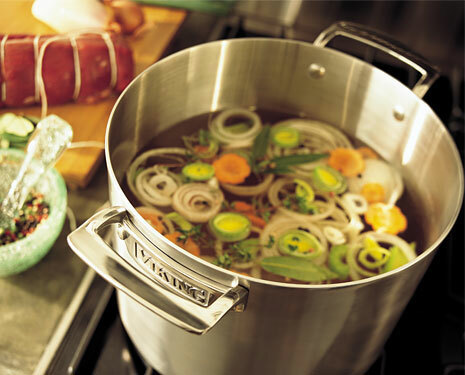 Every time a recipe says to add water, add corresponding stock instead. Make a massive batch and jar a few different sizes to have on hand from the freezer or fridge. Read all about stock here. It’s also great for cooking baby veggies in for puréeing, to ensure better mineral content in their diets and to strengthen their developing digestive health. 12. Use grass fed beef gelatin. Gelatin is an unbelievable nourisher. You can add a tablespoon to soups, smoothies, stews and curries but my favourite thing is to make jelly with it. Read that post here. If you don’t believe just how nourishing this stuff can be to a body, I challenge you to an experiment: Make a cup of fresh squeezed apple juice one day, or buy from a juice stall. Give your child 1/2 a cup of that fresh apple juice mid morning. Time her/ him and see when she starts asking for more food. THEN, with the other 1/2 cup of juice, heat it up on the stove until just boiled and add a good teaspoon of gelatin powder like this one to it (whick you can get from Kitsa’s Kitchen via mail order if you’re in Australia). Pour into a little pot or a dish and refrigerate and let it set. Next day, feed it as a mid morning snack – time again the next sign of hunger. To make the experiment totally fair, feed the same breakky each of the mornings and feed the snack same time both days. You will see what I’m talking about. Protein packed awesomeness to slow down that fruit sugar in our bodies and a super cheap way per serve to boost the fillingness of things. The tub lasts ages! 13. Egg yolks. These are particularly fantastic ‘sneaky cheekies’ for little people who are ‘refusal experts’ for any food resembling nourishment BUT also always complain of being hungry. The nourishment in an egg yolk is out of this world good, provided your eggs are pasture raised and supplemented only organic feed to avoid GMs. You can separate out the whites of a couple of eggs and quickly whisk yolks into a cauliflower mash or a quinoa pasta to turn your bland ambassador child into an omega 3, vitamin D trooper – without even knowing it. You can also hide through mashed avocado, steamed veggies, brown rice… whatever you fancy! If you have a growing boy or girl playing lots of sport, just whisk a couple of egg yolks through his or her portion of whatever it is you’re adding. Works a treat! 14. Add paté to the mix! Now, I’m fussy here too, because you cannot buy the store bought ones unless from a deli that labels clearly and makes their own from organic chicken livers. If you know of one of those, link us up in the comments! Otherwise, I make the paté from a fabulous book called Eat Fat Lose Fat, by Dr Mary Enig / Sally Fallon that is super easy and makes plenty for a good week and a half supply. I LOVE it on celery sticks or grain free bread of choice for a crunchy, nourishing hit of healthy fats and nutrient dense liver. Two long sticks like that or a slice of bread with generous paté is lunch done. Satisfies me possibly like no other food can. Even if it’s not your thing, try it for your ‘hungry person’ you’re worried about. My little guy loves it – might be the French heritage though. He has no choice! I’d love for anyone who tries any of the ideas out to report back here, so be sure that you do and share your story! If you’ve got extra ideas also, share them and chat about your success. Brilliant Alexx – thank you! I think I can manage to sneak a few of those past my fussiest eagle-eyed boy. Would something like the Coconut Chocolate Butter from Loving Earth be a good addition to fruit to fill him up and sustain him a bit longer? Can’t wait to try some of these for my 7 year old, she is a bottomless pit lately! Does the dulce have much flavour? It’s very mildly seaweed like Kelly… a couple of pinches in half an avo on toast goes completely unnoticed, plus if you frame it right “Do *you* want to put the purple sprinkles darling?’ like it’s a special privilege… then voila: Sold! Love this list Alexx! Thanks for a great post! I’ve seen dulse flakes but never really knew what they were for. My question – if you can help out – is what fat do you use in salad dressings/vinagrettes? My hubby always makes our own and they taste amazing but I recently found out that he uses canola oil or something similar. 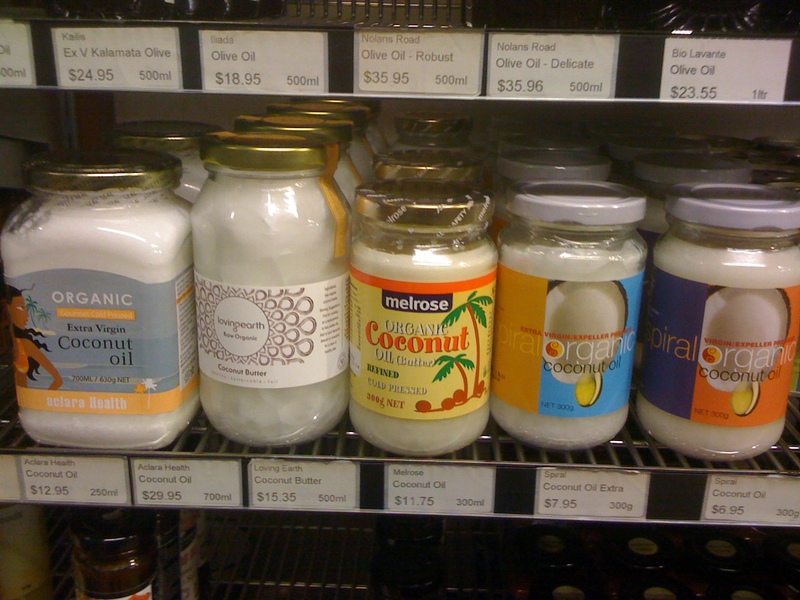 Coconut oil is way too strong as is EV Olive oil. Any suggestions? Great list, Alexx! We add dulse flakes to the Himalayan salt stored in our salt grinder so then it can be used in most savoury dishes. We have only recently gotten into using grass fed beef gelatin which I have tried in your apple and chamomile jellies. My girls loved it. Thanks for helping us to be more adventurous with whole foods. I bought dulse flakes for the first time the other day and the packet remains closed. Your tips help me to know how I can use them! Thanks Alexx. Hi Alexx, thank you so much for this article and all your other info. I love everything you write and am trying to take it on board. foods such as eggs and coconut milk/cream. I swim around 18km per week so am trying to include carbs in my meals eg sprouted essene bread for breakfast and brown rice, spelt pasta etc as sides at dinner. Are you against all grains? Also, what do you think about dairy products? I don’t have much apart from a couple of spoonfuls of yoghurt eg barambah organics as I have a slight intolerance. I really enjoy bonsoy and almond milk. I am sorry for all the questions and thank you again for everything. Above all, a massive congrats on your courage to overcome an eating disorder. I completely understand your apprehension on fats, however the science has emerged clearly showing that it is not the healthy fats causing weight gain, it’s in fact the sugar, additives and processed grains. I’m not dead against grains no. I’ll have the odd bowl of something with brown rice in it or quinoa salad from time to time, buckwheat crackers and buckwheat in dessert, but it definitely would be 10% or less of where my nourishment comes from, simply because starch turns to sugar in your system and has to all be processed by the liver. If you want to avoid the worst kind of fat, the stuff we can’t see “visceral fat” then don’t make grains a feature in every meal. If you exercise a lot, you will benefit so so much from adding healthy fats into your diet. The strength and endurance will come from those, not from grains. Maybe even do a little journal and experiment for yourself. To help you with the mental hurdle of fat = fat me, I cannot recommend enough the Eat Fat. Lose Fat. book by Sally Fallon and Mary Enig. It’ll help enormously 🙂 Re dairy, I do only raw dairy, because unpasteurised it still has all the enzymes in it to help us more successfully digest it. Some people can still even be intolerant to raw however, so just see how you go. If you’re an aussie, raw dairy is illegal here in fresh form, so I buy the illegal stuff that has to say it’s a bath milk and do my research. I then make yoghurt out of that and only eat Gruyere or parmesan from o/s, as both of those are raw. Re soy: I would (sorry) stop that today. Oestrogenic foods aren’t good for us at all and long life soy is very processed. Not the health food many think it is… If you fancy reading more on that front, The Whole Soy story” is sensational. I appreciate it more than words can say. Grains make my kids crazy, tummies hurt and a host of joint issues – but cutting out grains means they are HUNGRY all the time – and let’s face it. Organic, grass fed protein (Beef, chicken) is expensive. I struggle to find balance. This gives me some great hope!! This article is confirmation to me that I am implementing the right food choices in our home! I love the “purple flakes” & have been adding them to everything. My husband now a fan too! We have big stock cook ups one weekend a month :). 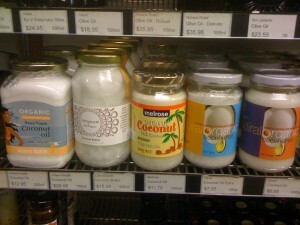 Nut butters and coconut butter/oil are products we are using and consuming for the past 6 mths and loving! Activated nuts and seeds are all new to us also – we particularly love activated pumpkin seeds for snacks :). With spring almost here in Melbourne, we are looking forward to trying bee pollen – any thoughts for this? However, I realised after reading your article that “crack an egg” needs to happen more in our home – starting tonight! Thanks Alexx! Can’t wait to make my kids jelly after all these years of telling them it was not a good nutritional choice!!! (They saw the aeroplane jelly style! )But any chance the Great Lakes gelatin could be upsetting my tummy? Could you please set me straight on raw eggs?! I’ve always been told never to eat them raw because of the health risks… was that just an old wives tale?! Love what you stand for and what you want to share-thankyou. What do you do with the egg whites if you only add the yolk?